We offer complete POS systems for hairdressers, hair & beauty salons, nail salons, spa and similar types of service businesses. Our salon EPOS systems are also popular with tattoo and piercing parlours, providing for effective diary management of bookings, deposit payments and very easy to use POS features for sale of retail products and services. These specialist systems provide functions such as an appointment bookings system, staff commission tracking, customer database, stock control and many other features. (1) - requires upgrade to Quickstore Professional Edition. (2) - produces Sales by Staff Report showing sales and profit. Commission can be separately calculated from this for each product/service. (3) - Staff commission is defined as a Percentage % on each product/service. Small or Large Business: From simple POS Systems for small hair or nail salons through to more sophisticated Salon EPoS Systems for larger salons and chain store operations, all at affordable prices. 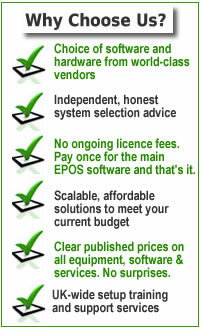 Complete Package: Our salon EPoS solutions include the key components to operate a professional salon EPoS system: touch screen, receipt printer, cash drawer, barcodes scanner, accessories and EPoS application software are all included. 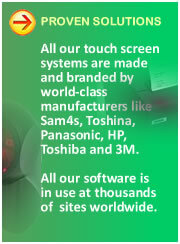 You can optionally add chip and pin credit card processing, mobile stock taking scanners and barcode label printers. The Bookings module allows you to automate the management of bookings with stylists or for function rooms such as sunbeds. 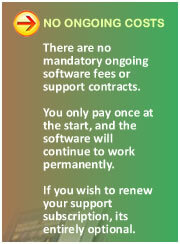 On some of our packages, a Walk-In Customer Waiting List can also be managed. Clocking In and Clocking Out features are available on some of our EPoS packages allowing you to automatically generate working hours reports for wages calculation. You may also specify commission % or amount for qualifying products and generate a staff commissions report. Barcode scanning allows you to greatly improve your efficiency and customer service by being able to increase your throughput at the point of sale. With a barcode scanner, there is no need to find, read, key-enter and check the price of each item at the checkout. Simply scan the barcode and the item with its description and price will automatically be added to the sales transaction. Your customers will be more satisfied with a faster service, your receipts will be itemised and you will have fewer pricing errors and keying mistakes, as well as reports information for sales and stock levels being instantly updated. We offer various types of barcode scanners including basic hand-held scanners, handsfree barcode scanners with a stand, wireless Bluetooth or RF barcode scanners and integrated counter scanners for busy supermarkets from Honeywell / Metrologic, Motorola Symbol, Datalogic, Wasp and other leading barcode scanner manufacturers. If your products are not barcoded by the supplier or if you import or produce your own products, then many of our Retail POS Systems provide the option to add a barcode label printer to print your own barcode labels using a desktop label printer and label rolls. The label can accomodate the product description, price and barcode as well as your company name, website and phone number. Labels can be attached directly onto products, onto packaging, onto tags or kept on a chart / booklet near the till. We also provide a high-resolution printer option to print miniature Jewellery Labels (known as Butterfly Labels). These are suited to small items of jewellery, sunglasses, watches, gifts and accessories and other such items. With stock control, you can accurately track item sales as well as remaining stock levels. This helps with re-ordering so you can automatically be aware of which products need to be ordered and replenished. You can optimise your stock holding and cash flow by not holding too many of slow moving items yet not missing out on sales of the most popular stock items. Stock control also helps identify losses and theft of stock. Our advanced retail systems link the stock control system with the suppliers database and purchase ordering, helping you to automate these functions within your business. With new stock deliveries, the quantities are booked into system either individually or automatically if you have used the purchase ordering functions. With most of our retail till systems, you can opt to print either a mini receipt, an A4-size invoice or both. This gives you flexibility depending on the type of transaction. For example, on small low value cash sales, you may wish to print a mini receipt. But for trade customers, account customer or high value transaction you may wish to print an A4-size Invoice. You can determine how many copies of invoices / receipts to print, you can re-print duplicates and also print Credit Notes and refund receipts. Gross Profit reporting shows you the gross profit on each transaction by taking into account the cost price and selling price. If you purchase stock from different suppliers at different prices, various models are available to calculate the cost, either on an average cost price basis or on a first-in first-out basis. Friday 19-April-2019 23:09 Our office is currently closed. We will be open again from 10am tomorrow.